This article will guide you through fixing IDM has been registered with a fake serial number or the serial number has been blocked error message. Internet Download Manager (IDM) is a popular download manager for Windows. The only difference between IDM and other popular download managers is that IDM is a paid software which means that you need to buy it to use it. If you have bought IDM lately, you may lead to a few problems like “IDM has been registered with a fake serial number or the serial number has been blocked“. Or you may have used a trial or cracked version of IDM before but have purchased the new IDM but still you get the same error message when you try to register with your legal serial number. Here are some solutions which you may try before contacting the IDM support team. By the way, this IDM support page lists down some of the problems and their possible solutions but these are not enough to get you out of this situation. You may also try our solutions first. Please note that this will disable the update function of Internet Download Manager. You will need to download the latest updates manually. If you are still getting errors, the best way is to download Internet Download Manager from Tonec website again, uninstall the previously installed IDM completely and reinstall IDM using the newly downloaded installer. You may also contact their support department which is quite responsive and friendly. Alas you can make use of any free HOSTS file editor or open notepad with administrative privileges and then edit the HOSTS file. Found nothing in the registry that bears the name “CheckUpdtVM” or anything even similar to it ? i have 86 bit of windows, how can I fix it. worked like a charm for me but i never had an illegal copy of idm on my machine. i did however have a different license on it at one time before i bought a second. i used the first solution, (Tweaking IDM files) and its been 3 days with no more problems. Doesn’t work any more. After every restart, IDM modifies the host file on its own and puts a # in front of every entry with “idm” or “internetdownloadmanager” so that your host file ignores the line. Gotta block them through your firewall or URL filter through your router now. Add hosts entries and if local administrator lock down permissions on hosts file, owner = system after setting permissions to only allow read to users/administrators/system and IDM won’t be able to comment out sections. 🙂 enjoy. 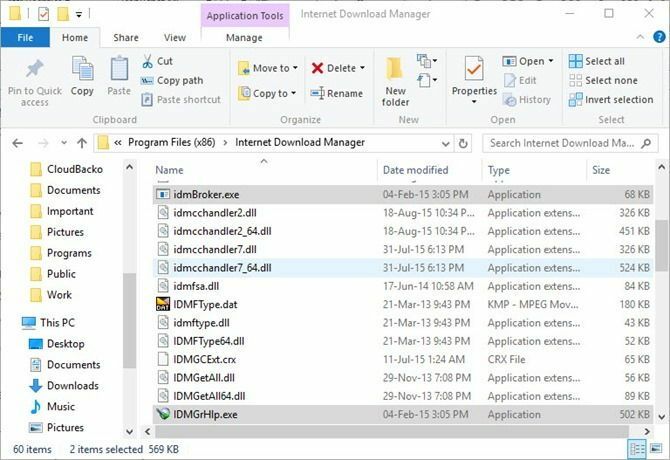 After every start of IDM, the host file gets modified on its own and a # appears in front of every entry with “idm” or “internetdownloadmanager” so that the host file ignores the line. how to prevent this? You may change the NTFS security permissions of the HOSTS file to prevent this auto-change. y its not working for me? Run Notepad as Administrator, then open the ‘hosts’ file. a typo? was it supposed to be 2 lines? or it’s supposed to look like that? Hi Gascon, it’s just a typo. It should be two lines instead of one. I have fixed this in the article. Thanks a lot for pointing out. I found this article extremely helpful. Thank you very much. Thanks for the compliments Nawrath. Did it resolve your issue?